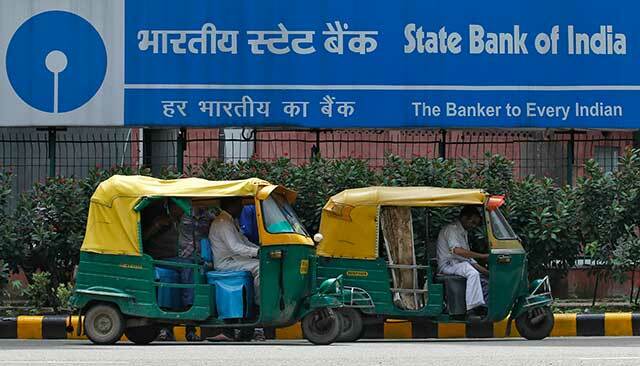 State Bank of India (SBI), the country’s largest public sector bank, will open an incubation centre for fin-tech startups. As part of the initiative, the bank will collaborate to encourage banking solutions in the financial technology space. SBI chairperson Arundhati Bhattacharya said the bank will soon provide physical infrastructure in its branches for startups in the fin-tech space. “Initially, we will encourage these startups to devise solutions for the bank. We will then look to extend it to other financial institutions,” Bhattacharya said adding that the physical space for incubation will be provided at its specialised branch for startups in Bangalore, called SBI InCube. Financial technology has become a preferred space for venture capital and early stage investments in the country. There is increased interest in this sector as several startups are using technology to disrupt the current systems of lending, borrowing, personal finance and financial inclusion in the country. To a question on investments into startups, Bhattacharya said SBI is looking to accommodate a small fund for providing financial assistance to startups. Currently, all its venture capital investments are in the social sector through private equity mode via its subsidiary SBI Capital Markets Ltd.
“We will do this with the bank’s resources, capital and markets,” said Bhattacharya. As part of its efforts to boost startup initiatives, SBI opened its first dedicated branch for startups in Bangalore. Christened SBI InCube, the branch aims to provide a one-stop-shop for financial advisory services. Startups can get information and advice related to regulatory environment, payments, taxation and tax liabilities under a single roof. The move comes at a time when the government is set to announce a national startup policy on January 16. SBI, which opened its first InCube branch in Bangalore on Thursday, will open two more branches in Pune and Delhi-NCR shortly. “Many startups receive funding from abroad, but are largely unaware of the regulatory modalities involved in bringing funding into the country. Let startups think about bringing innovation rather than worrying about these things,” said Bhattacharya Prominent names in the startup ecosystem including Sharad Sharma of iSPIRT, TV Mohandas Pai of Manipal Global Education and Infosys co-founder Nandan Nilekani have been roped in as mentors for the initiative. However, the bank will not provide any financial assistance in the form of loans and startups will have to reach a mature stage to qualify for loans. “Bankrolling startups is not the job of a commercial bank and not our cup of tea,” said Bhattacharya. In 2015, the Indian startup ecosystem was propelled by a 123 per cent rise in the country’s active investor count, IT industry body NASSCOM and Zinnov Consulting had said in a recent report. The number of accelerators/incubators in India grew by 40 per cent to 110 in 2015 .On the other hand, the country’s angel investor count grew by over 150 per cent to 292 from 115 in 2014, the study found. India is the world’s third-largest startup hub where three-four new firms are born each day. India currently trails the US (47,000-48,000 startups) and the UK (4,500-5,000 startups) in terms of overall startup count.